That new front end actually makes the current car look better. Something I thought was not possible. I guess that's pretty amazing, in a weird/sick way. I mean, how many holes, fake vents, black plastic BS trim can you fit into the bumper of a small car? Vince, I don't think is that bad. My main beef with Honda is their refusal to use Blind Spot Monitors and their line up. You can spend over $30K plus in a top of the line Accord, but still no BSM. I love the room in the Fit, and I think is fun to drive. Honda Civics are nice too but again, no BSM. Even Consumer Reports bashed Honda for not using BSM in the Civics. It's consistent with all their overwrought designs! Honda lost their way a long time ago. 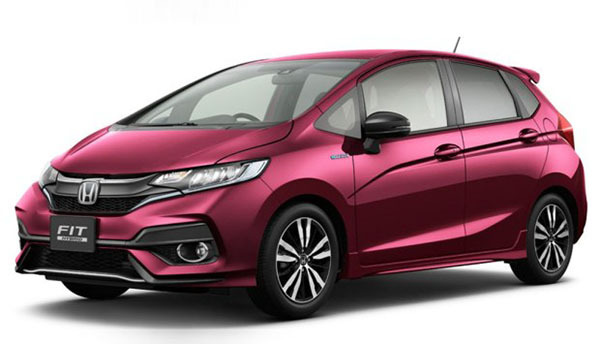 Although I dislike Honda front end treatments, including this one, I really don't think the Fit is that ugly.